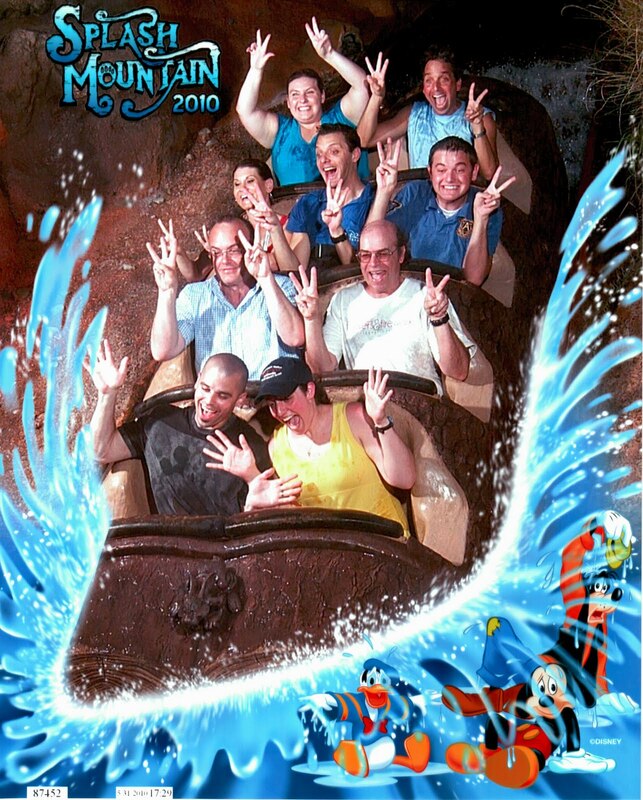 On my most recent trip to Walt Disney World I attended the D23 Tweet Meet that was held at the Magic Kingdom. A notice was sent out on Twitter via @DisneyD23 the Thursday prior to Monday May 31st saying that there would be the first WDW Tweet Meet and to wear a D23 t-shirt, hat or bring your membership card. 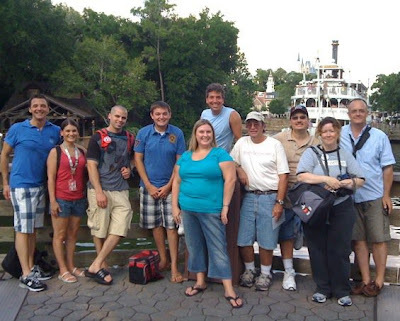 At about 2:00 pm on that Monday I tweet was sent out saying that we'd all be meeting at the Swan Boat Landing at 4:30 pm. There ended up being about 16 people total show up. Jeffrey from D23 in California was the host and gave us the fan that was sent with the 2nd edition of the D23 magazine (I believe that was the issue) and 4 FastPasses to be used that day. He asked us if we had any questions and one that I think is important to mention is that someone asked about the Expo being held in Orlando. He explained that due to the celebrities and the studios being in California that they'd continue to be held there. 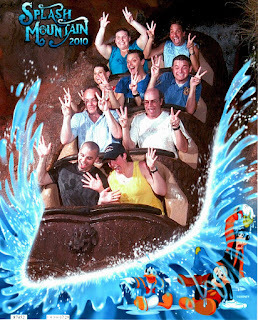 From there he said he was going to head to Splash Mountain to ride his favorite attraction and that anyone who wanted to join him could. He used the remainder of his FastPasses for us to ride it. Jeffrey said for all of us to make 23 for the photo. Unfortunately, most of the people made 32... actually everyone but Jeffrey and myself made 32. We were the only ones who got it right for the camera. LOL! From there we headed to the Jungle Cruise and rode that using the FastPasses he gave us. Our skipper was hilarious. He was really into it and seemed to actually enjoy being a skipper. Being veterns we found this to be entertaining. How often do you actually find someone who likes being the skipper and repeat those goofy jokes over and over again? Lastly, I have to mention John and Cristin who were D23 members and Sorcerer Radio listeners. It was great to meet them. We even met up again on another day at the parks. Since John recognized me from Sorcerer Radio both he and Cristin received Sorcerer Radio swag. Overall, I'd say it was a great experience. Jeffrey was a great host and I hope he does more of these type events again.